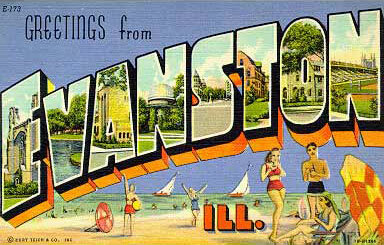 elvis presley – Greetings from Evanston, Ill. This one’s also pretty great. Tepper and Bennett never had a big hit with an Elvis song — many of them were novelty numbers. For “Girls! Girls! Girls!” (1962), they wrote “Song of the Shrimp” with lyrics from the point of view of a shrimp. The songs were in sharp contrast to the gritty numbers that made Elvis an electrifying star. But Tepper made no apologies. 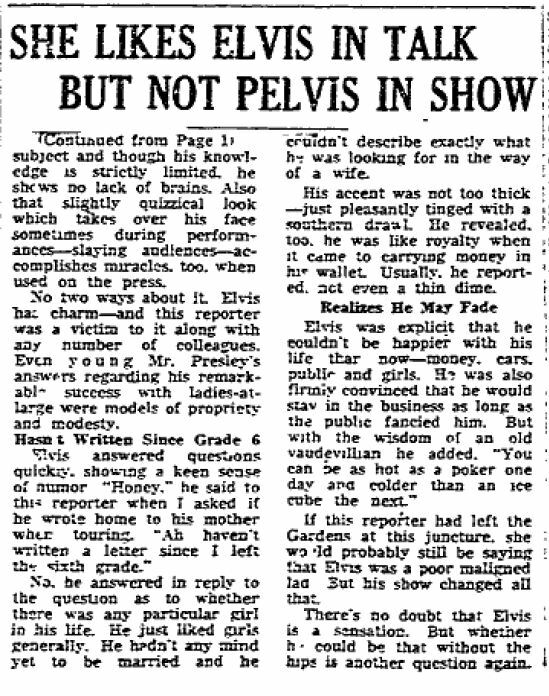 This morning, while trying and failing to find an image to cheer up a friend with a recently fractured pelvis, I came across the Elvis-Pelvis story, and it lived up to all expectations one could have. Here’s part one and part two. Both come from a terrific archive of Elvis concert reviews. 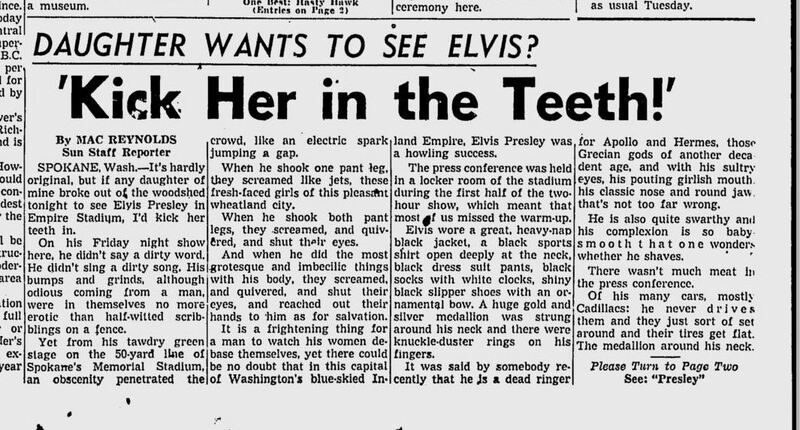 All of this is so much better than the tour’s subsequent coverage in Spokane: “It’s hardly original, but if any daughter of mine broke out of the woodshed tonight to see Elvis Presley in Empire Stadium, I’d kick her teeth in.” Yikes. I can’t remember how this link came my way today or if it actually came my way today at all. Could have been yesterday. 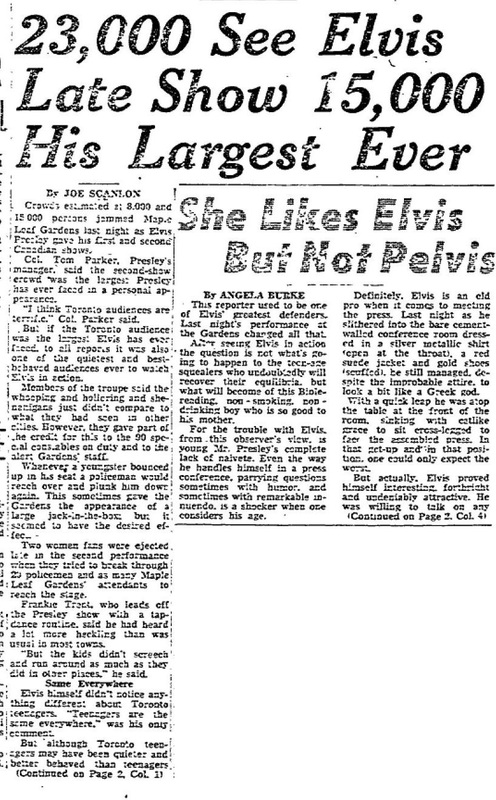 But somehow this 2005 blog post of a 1977 Lester Bangs column on the death of Elvis ended up in my browser tabs. The column is as strong and opinionated as you would expect from Bangs, and your agreement with his points may come and go. But the tough, lengthy windup is worth it for the final paragraph’s pay-off. I enjoy receiving accounts of random Elvis encounters. Lindsay emails the following photo. 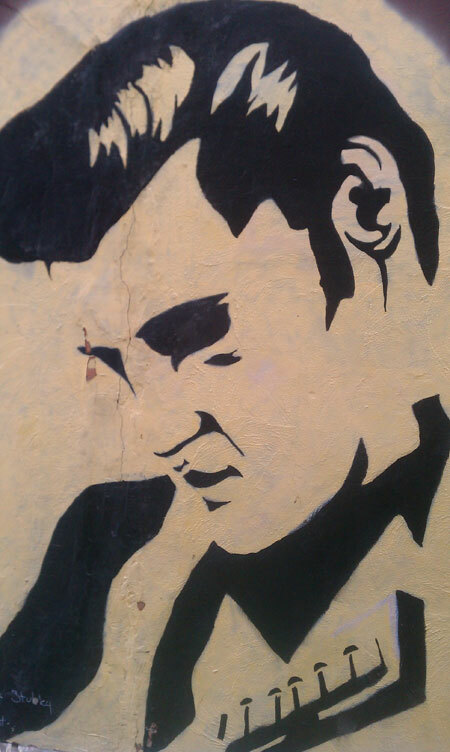 “Elvis street art,” she writes. “In East Aurora, NY. 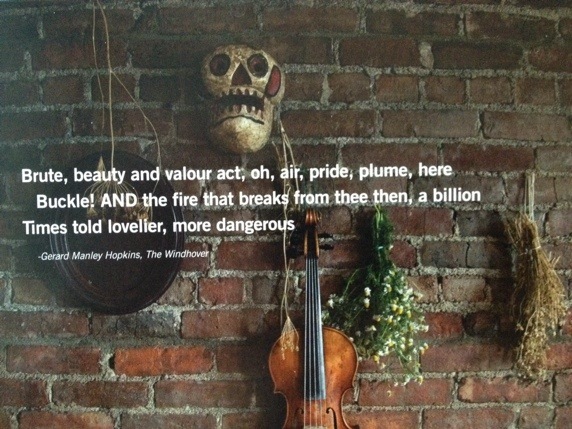 Proving coolness abounds in unlikely places.” See entire mural here.